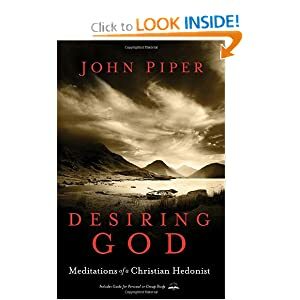 According to John Piper, the pursuit of pleasure in God is essential and a pleasure. This book will alter common perspectives dramatically. It will teach you the beauty of not having to choose between duty and delight as you can have them both as a follower in Jesus Christ. Following Jesus Christ, is delighting in it's duty. The book includes a study guide forindividual and small-group use. I received a copy of this book from Blogging For Books for my honest thoughts on the book.